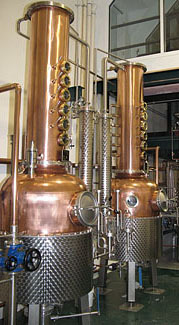 Marlborough, New York has a unique opportunity to become the artisan distilling capitol of the state. With the enactment of the Micro Distillery Act of 2003 and the Farm Distillery Act of 2007, the financial motivation is in place for ultra-premium distilleries to locate to New York. Marlborough is unequaled in its position to combine a long and storied history of distilling, thousands of acres of top quality fruit, its proximity to a large and sophisticated market, and its beautiful tourist-destination natural setting. The Wine Trails of New York State are an already-established and financially-successful model for this type of agritourism-based industry. By using the methods of this proven cooperative business plan, the Marlborough area can become a major attraction for both spirits enthusiast and tourist alike.